Owner of Divinity, Holly Boyd, began her career as a Nurse Practitioner in 2007. Her first job was in the corporate world working for the Tampa Bay area’s largest laser chain. She spent the first three years of her career working with lasers and had two children along the way. A few years after working in the laser field, she chose to take a job at a family practice office. This office offered cosmetic Botox and Juvederm products. In 2011, she went to her first training for injectables. 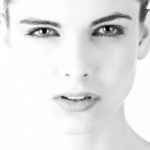 Soon after she began injecting, she was quickly recognized by Allergan – the makers of Botox and Juvederm – as being a skilled injector and was encouraged to pursue a career exclusively in the aesthetics field. She did just that and in late 2011 she started a new position at a medical spa that was closer to her home in Spring Hill. In the next 4 years, Holly took advantage of every possible training and truly embraced her new position. In the summer of 2015, the medical spa that she was working for closed abruptly. To say that Holly and her long time co-worker and office manager, Tami Juliano, were devastated would be an understatement. There were patients that had invested and prepaid for many services and Holly and Tami were the faces behind those whom had prepaid. It took only a few days for Holly to decide what to do….hence, Divinity MedSpa was born. Holly and Tami worked tirelessly and purposefully to open Divinity within just one month of their previous place of employment closing. A location was chosen, contractors, and decorators worked on top of each other to open a medspa that Hernando county had never experienced before. Their business goals were to offer the quality of services and feel that one would render in an urban city like Tampa, but at prices that were reasonable and affordable in a small town. As a courtesy to every single patient that had prepaid for Botox, Juvederm, or laser services at Holly’s previous place of employment, Holly treated every one of the patients at NO COST. This is where the marketing tagline that Divinity has used for years came from: Hernando County’s Most Trusted MedSpa. It was important to Holly and Tami for all of their patients to know that Divinity was built on integrity and honesty. Within the first year that Divinity opened, Holly was once again recognized by Allergan and was asked to be a National Trainer for their company. Based on her skill and growth that her medspa had in a short amount of time, Allergan asked Holly to teach the art of injecting to other health care professionals such as doctors, dentists, nurse practitioners, and physician assistants. She did just that offering 25 trainings in her first year as a trainer, training nearly 75 doctors, nurse practitioner, and physician assistants in that time. As part of Divinity’s original business plan, Holly and Tami decided to only offer Allergan injectable products. Having tried other injectable products on the market, Holly knew that as Hernando County’s Most Trusted MedSpa that she only wanted to offer the BEST for her clients. 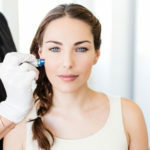 Since Allergan is considered the leader in the aesthetics market, all other competitors tend to ride on its coat tails. Allergan has a reputation for spending $1.5 billion each year on research and development alone. For many reasons, it only made sense for Divinity to offer only Allergan products. 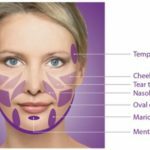 Allergan now has five fillers on the market and more in the pipelines, so Holly realized that it can be confusing to patients to have too many options. As an Allergan account holder, all accounts are at different tier levels based on the volume that they buy. The first level is Silver, then Gold, Platinum, etc. Hence, the tier levels are directly related to the volume that each business does annually. In the first 6 months that Divinity was in business, Divinity became a Platinum account with Allergan (top 8% in the nation). This was shocking to us! Another 6 months, we grew organically to Allergan’s next tier level which is Platinum Plus (top 6% in the nation), we could barely believe it. Less than 2 years in business, Divinity was considered a Diamond account with Allergan (top 4% in the nation.) Even Allergan was shocked that a solo injector in a small town could achieve these numbers! Being ranked in the top 500 accounts in the nation is considered the next level – we have no doubt that we will be there some day soon. Since 2015, Divinity has continued to grow beyond what anyone could have every dreamed. Divinity now offers a menu that is full service, from injectables to lasers, and even the world’s number #1 body sculpting machine, Coolsculpting. Our team is composed of seven amazing and hard working employees. In early 2016, we were able to bring a medical esthetician onboard which allowed us to offer a full array of spa services such as facials, microdermabrasions, microneedling, and chemical peels. These services couldn’t have been a more perfect fit to Divinity. Looking back on Divinity’s early days and the summer of 2015 when we were brainstorming names for the medspa, it was Holly’s husband that chose the name Divinity. It felt right immediately. We were told over and over again in our first year that we were “lucky” and that “things like this never happen to people.” In our hearts, we know that these things don’t just happen. At Divinity, we choose to believe that we are blessed… not lucky.